The first game of the NCAA Football season between Stanford and Rice will be played in Sydney Australia on Sunday, August 27th, for those of us in the United States, we will be seeing the broadcast at 10:00 pm Saturday, August 26th. And even though the season is not set to kick off until two months from now, AcePerHead.com has already released its first the 2017-2018 NCAA College Football team regular season win odds. Posting these odds so early is possible thanks to the NCAAF betting software utilized by them, and the knowledge and expertise of their line managers. Like every other line they offer, these regular season wins odds are fully customizable to fit the needs of each agent. All odds and pricing offered by www.AcePerHead.com can be adjusted based on the betting behavior of players. With the help of the agent’s knowledge of their player sheet and based on past behavior, the line managers can determine which teams will be more enticing, with this knowledge they will be able to adjust the odds and pricing in order to generate more interest. This is done for every agent package. NCAA Football is one of those sports, that just when you think you have figured out who the teams to follow are, an underdog comes out of nowhere and defeats the favorite, providing huge wins for the agents. This was the case in last season’s Championship game when Clemson defeated heavy favorite Alabama 35-31 in a last second touchdown. The play is one for the records, Clemson quarterback DeShaun Watson in the last seconds of the game found wide receiver Hunter Renfrow in the end zone, and manage to connect the throw and score the winning touchdown. The game was amazing, and this is why College Football has such a huge fanbase, you just never know what will happen. 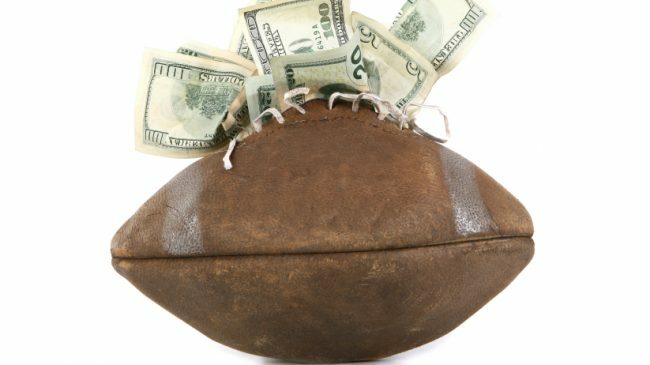 Agents who have switched over to Ace Per Head know the difference between having the best NCAA Football betting software at their disposal can do in terms of profit margins. Being able to offer more betting options to players means that your prospects for a higher revenue are increased tenfold. And in an industry ruled by numbers, high volume has a severe impact. In addition to the regular season wins, Ace’s PPH betting platform also supports live betting for college football games, and they have the most live betting events in the sport. Meaning, your customers will have a more pleasant betting experience, because everything they can think of is available and more. For those agents who are looking for a better pay per head option this football season, I have great news, www.AcePerHead.com is currently offering a 6-week free trial, so you can switch your package today, and not have to pay a dime for the most unbelievable service for a full 6 weeks. You won’t find a better deal anywhere else, with pricing starting at just $10 per head, once your free trial is over you won’t break the bank to receive excellent service. Visit AcePerHead.com today and chat with one of their friendly and knowledgeable account reps, who can help you set up your package in as little as 15 minutes.